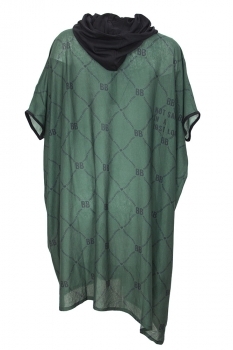 Barbara Bologna one-size, oversized, stretch fabric, dark green and black, lightweight stretch cotton jersey fabric hooded, sleeveless dress, 'Not Safe Hoodie Dress'. 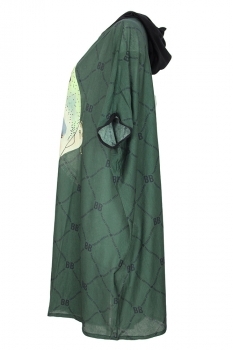 Double fabric black hood. 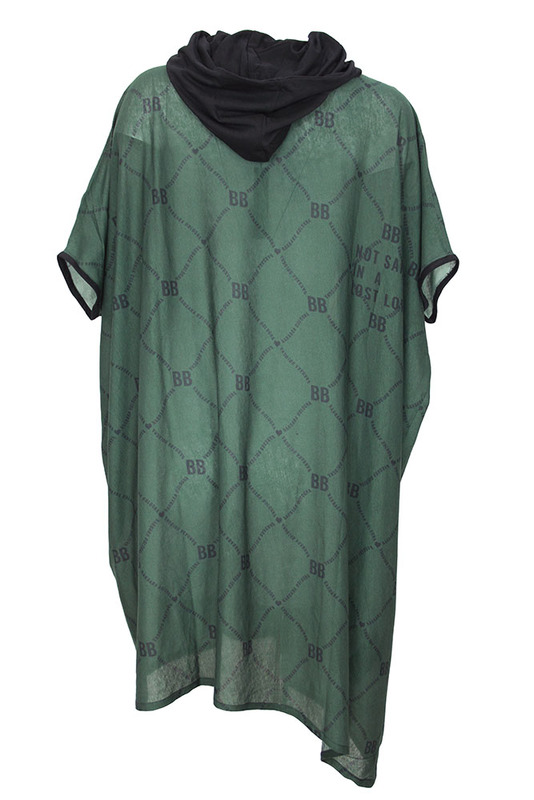 The main garment is in a printed fabric with 'BB Barbara Bologna' design throughout and head print. Black trim on armholes. The right side is longer than the left at the hem. ' Not Safe in a Lost Love' printed on the rear. Another unique and wonderful from The tremendous Barbara Bologna.